Irish composer, Stefan French, has been nominated for 'Best Young International Composer' at the 18th World Soundtrack Awards taking place on October 17th in Ghent, Belgium. Each year, the World Soundtrack Academy invites young international film music talent to submit their work for consideration for the highly sought after 'SABAM Award for Best Young International Composer'. This year, each candidate was asked to score a scene from Isao Takahata's animated film ‘Grave of the Fireflies’. 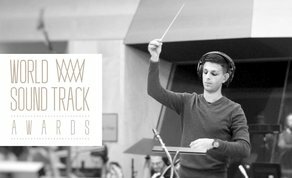 The compositions of the three nominees will be performed live to picture by the Brussels Philharmonic, conducted by maestro Dirk Brossé, during the World Soundtrack Awards Gala. "I am very honoured to receive this recognition on such an international stage, and I look forward to hearing my work performed live to picture during the event. I understand that this is the first time an Irish composer has been nominated in this category." The 18th edition of the Awards features several categories, such as 'Film Composer of the Year' and 'Best Original Song Written Directly for a Film'. Nominees include John Powell, Alexandre Desplat, John Williams, Ramin Djawadi, Kendrick Lamar, and Jóhann Jóhannsson, among others. The Academy Award nominated composer Carter Burwell, Film Composer of the Year in 2017, is the central guest. Launched in 2001 by Film Fest Gent, the World Soundtrack Academy is aimed at organizing and overseeing the educational, cultural and professional aspects of the art of film music, including the preservation of the history of the soundtrack and its worldwide promotion.